Click on Browse button to browse the NSF file from your system which you want to convert. A screen will appear from where you can select the NSF File then click on Open button. Choose “Migrate Contacts into separate .pst file” if you want to convert NSF file into a separate PST file. Choose “Export Selected Folders” to export only particular folders and then click the Select Folder option. Now, you can select the required folder to Export & then click on Apply button. The next screen of the software lets you select the categories to migrate NSF file to PST file format. You can apply the filter for each category. Now, select the Date Filter. 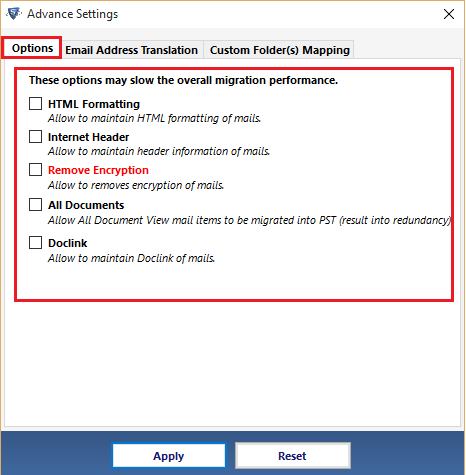 In this option you can also include email of particular interval for migrating. 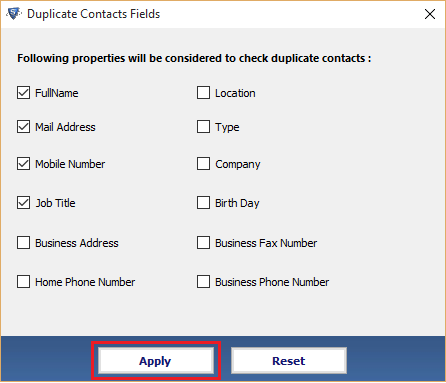 You can also remove the duplicate contacts by selecting “Exclude Duplicate contacts” option & then click on “Set” button. Apply the required filters(First name, Mail address, Mobile number etc.) to remove duplicate contacts. Check on Apply Advance Options for the advance setting. Click on Setting to proceed further. 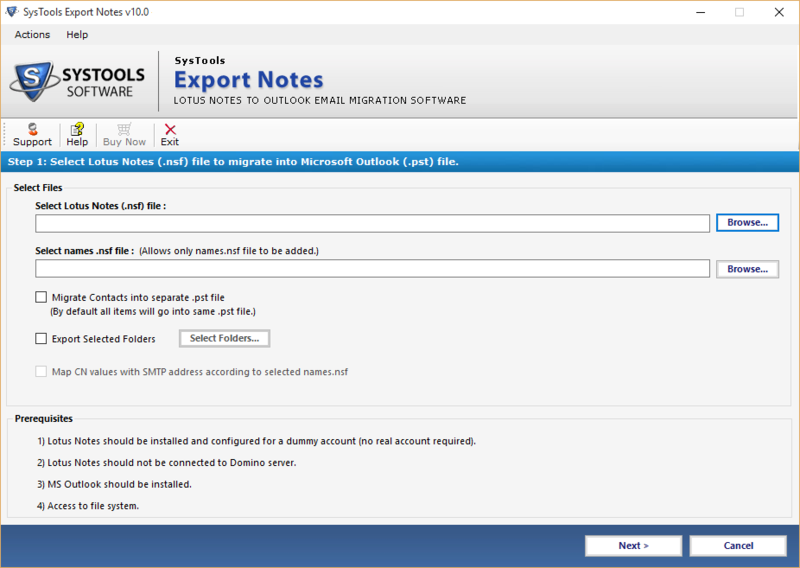 A screen will appear displaying Advance Settings for successful migration of Lotus Notes to Outlook. HTML Formatting- The option lets you maintain all HTML formatting during the process of conversion. All Documents- Allows all document view mail items to be exported into PST. Doclink- Maintains Doclink of mails. 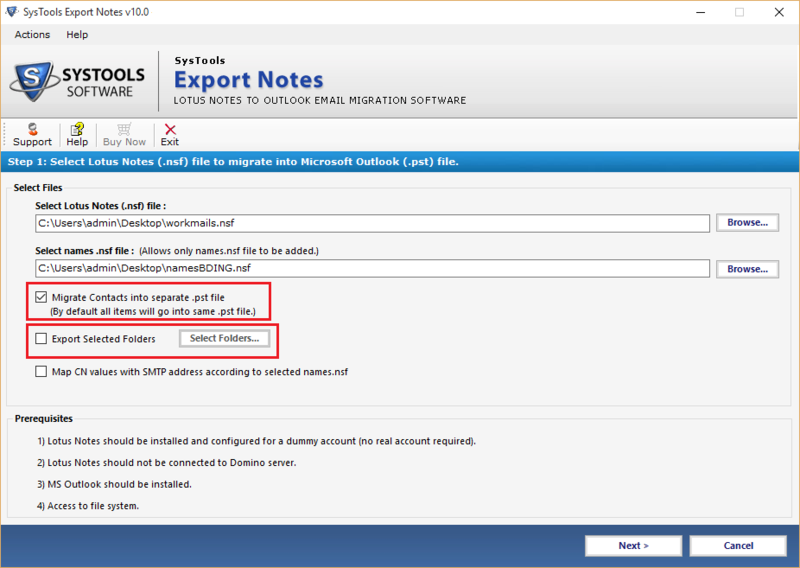 Now, if you want to convert the canonical name, which you have used in Lotus Notes, into Outlook SMTP format, then you can select the required naming convention. 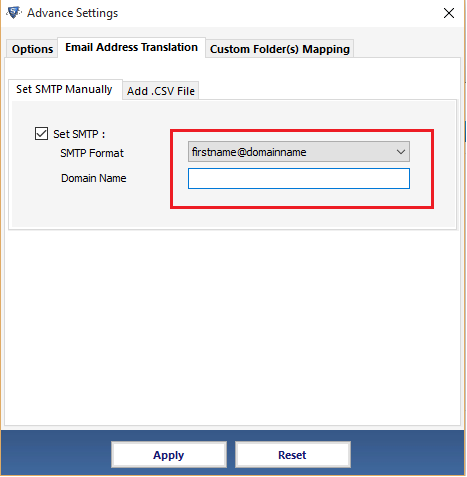 Now enter the domain name for the SMTP translation with respective canonical name. .
Map the Lotus Notes default generated folder with your Outlook default folder name. Click the Apply button to save all the advance settings. The software provide Split PST option to split large PST files according to the size. The file could be splitted in GB or MB. For changing the default saving location click on Change button. Click on Export button to start the export process. With the completion of export process, a report is generated. Click on the Export Report button to save the export report. Now, Browse to the destination location in MS Outlook. Choose the file and click on OK.
After this the Outlook will open the selected PST file. The software support which version of Lotus Notes? NSF file to PST tool is compatible with all the versions of IBM notes which includes 9.0, 8.0, 8.5, 7, 6, 6.5 and all the below versions to convert Lotus Notes to Outlook. Does the software export contacts directly into a single PST file? No, the contacts are not transferred directly to a single PST file. Single PST file will only be created if you select names.nsf file & choose “Migrate contacts into Single PST file” option. 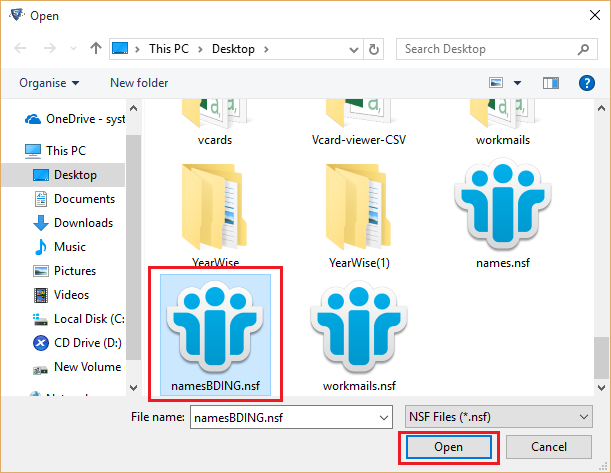 To migrate NSF file to PST, do I need to have Domino Server environment? No, you don’t need to have an active Domino Server environment for Lotus Notes to PST conversion. But, you need to have both MS Outlook and Lotus Notes installed & configured properly with a valid POP3 profile on your system. Is there any file size limitation to convert Lotus Notes to Outlook ? Lotus Notes to PST software does not impose any kind of size limitation on NSF file being used. You can easily convert Lotus Notes to Outlook PST file format. 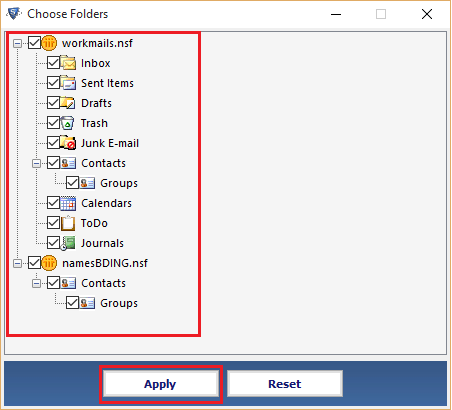 How many files can I migrate from NSF to Outlook PST at a time? 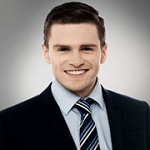 The corporate license of this software can only migrate 2 NSF file at a time, mail database file & names.nsf file to PST format, but the Technician & Enterprise licenses allows to convert multiple files from NSF file to PST at once. Can I convert encrypted emails of NSF using this software? Yes, you can easily convert encrypted emails of lotus notes using NSF to PST software. 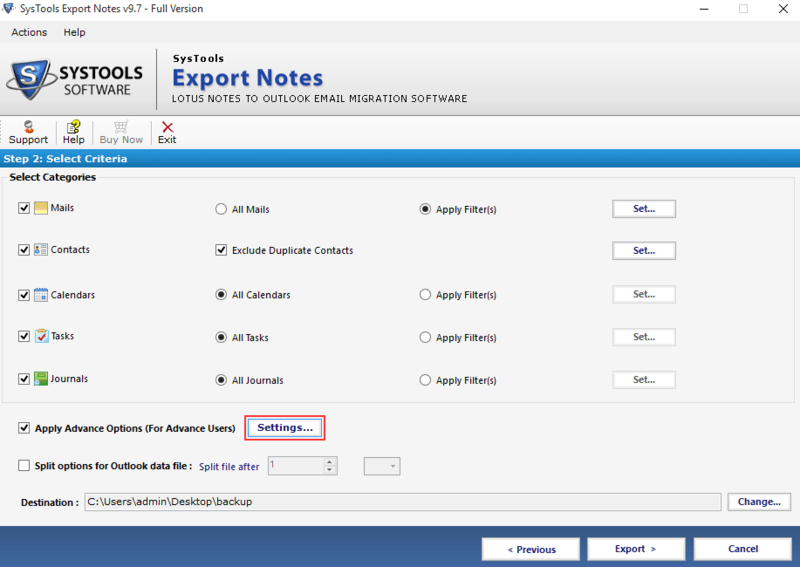 The tool has the option to remove encryption, thus the software will let you convert emails from NSF to Outlook even if the NSF file is locally encrypted. 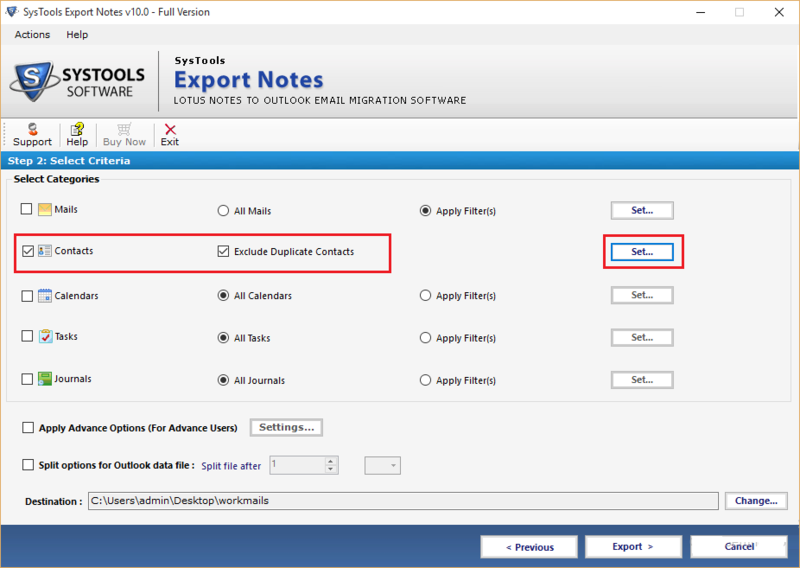 How can I import Lotus Notes NSF file to Outlook? If you want to access your NSF file into Outlook then first you need to convert Lotus Notes to PST. The newly created PST file can then be easily imported in MS Outlook 2016, 2013, 2010, 2007 & 2003. Migrating NSF files to PST file format was a kind of rocket science for me. This tool has helped me a lot as I was looking for the best tool which can easily migrate NSF file to PST. 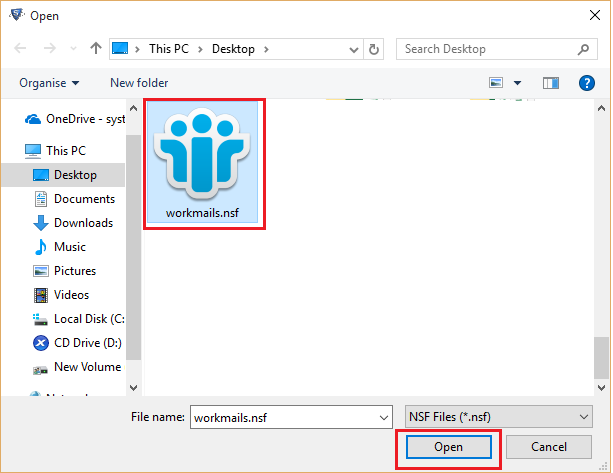 Now I’m much more organized with the task of converting multiple NSF files to Outlook file format easily. I have used many conversion software in past. But this NSF to PST software is a tool which is worth recommending. The price are also affordable and is very user friendly. Thanks to the development team for creating such a best software to convert Lotus Notes to Outlook.